Tilda's Spring Ideas, Tilda's Summer Ideas and Tilda's Winter Ideas presented in one beautiful collector's volume for Tilda fans everywhere. 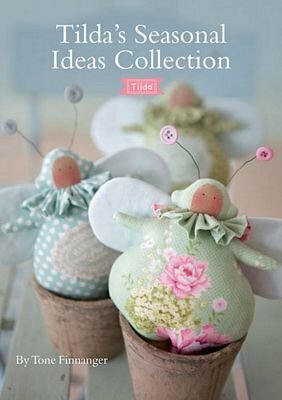 Enjoy the best of Tilda throughout the seasons with this wonderful collection of sewing and papercrafting projects by world-famous designer Tone Finnanger, all made using gorgeous Tilda fabrics and embellishments. Inside you'll find patterns and step-by-step instructions for angel dolls and a range of adorable outfits, bags and purses, soft toys, garlands and cushions, storage boxes, notebooks and cards, table decorations, pretty accessories and unique DIY gifts, taking you from the first buds of spring up right to the festive season. The projects are accompanied by clear instructions, beautiful photographs, colour illustrations and full-size templates, making them perfect for crafters of all abilities. 144 pages.